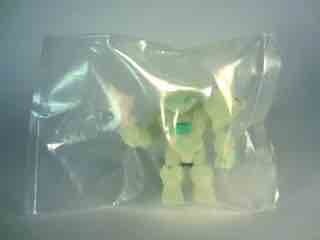 As with other Armorvors, each figure has a central core - in this case, a green one - and two heads. 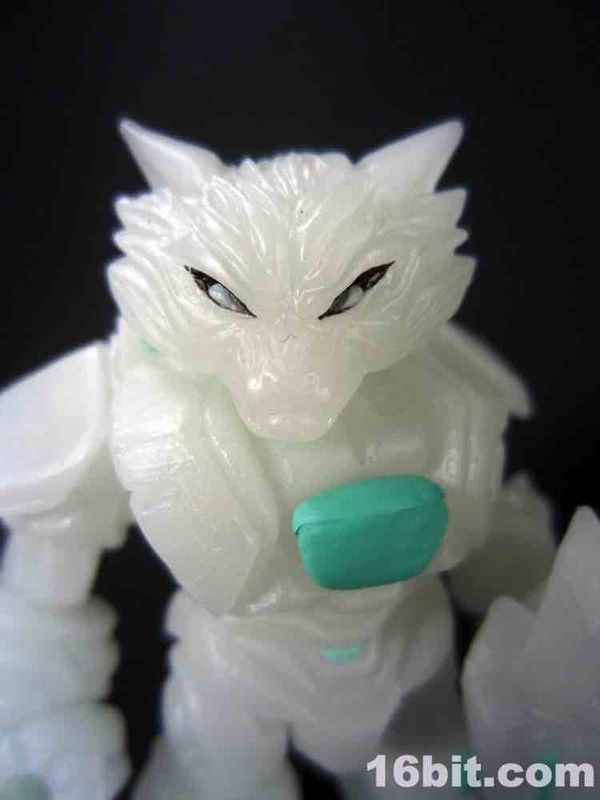 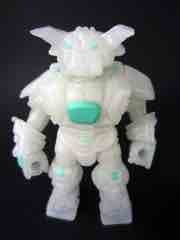 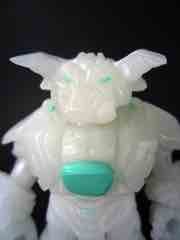 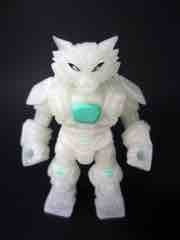 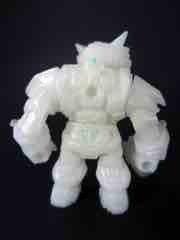 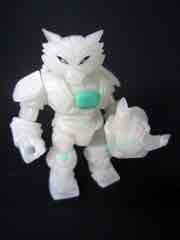 You can swap heads with other Glyos noggins from Onell Design or TheGodBeast or another manufacturer, but you knew that. 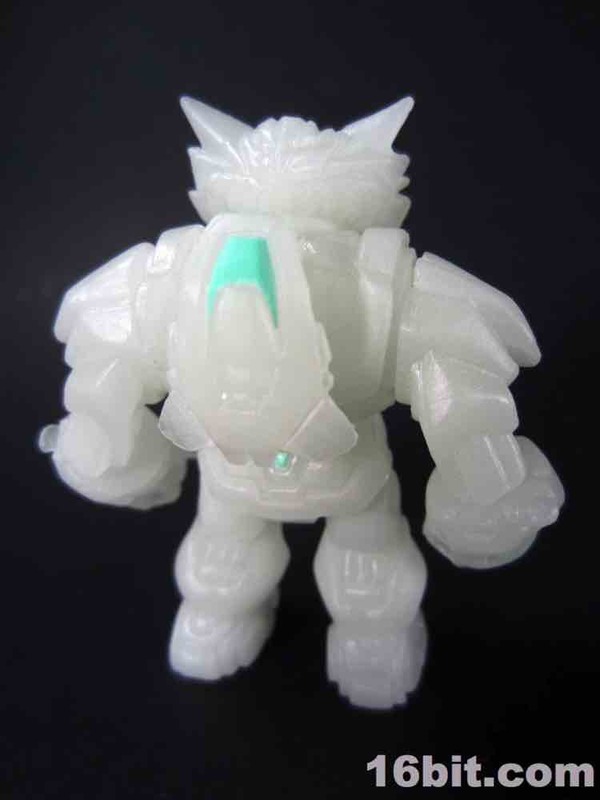 What you probably didn't know is that glowing plastic does a bang-up job of absorbing the light, meaning that a lot of the detail work just vanishes right into it. 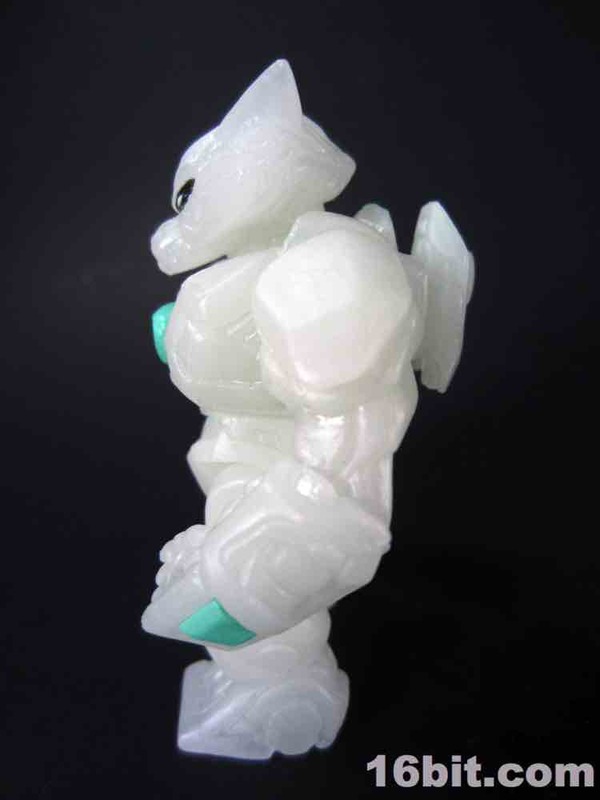 You can still see the work that was put into its creation, but like the other figures we look at this week this plastic doesn't give you much to look at when it's under normal light. 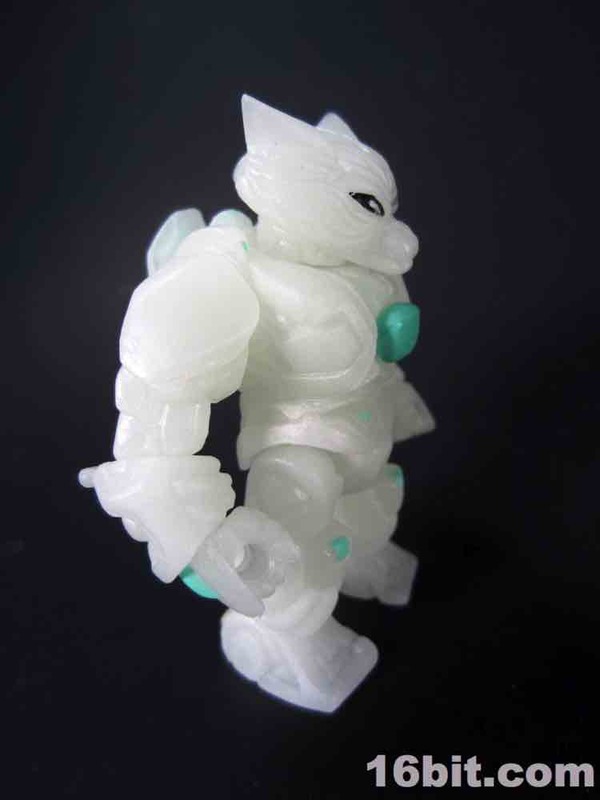 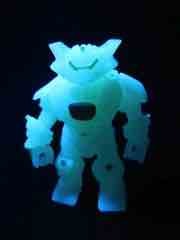 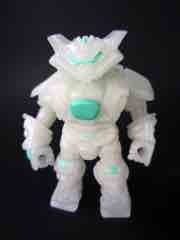 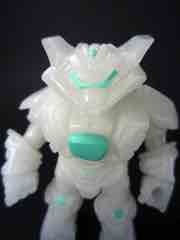 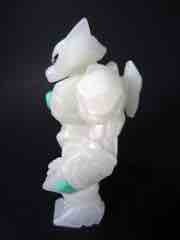 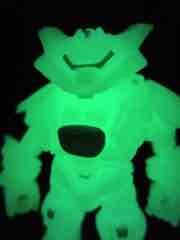 When glowing, all 18 pieces shine quite brightly - more so than other figures. Some glow-in-the-dark plastics offer much more in the way of detail in normal light or daylight, but they may not glow as well - this one is particularly brilliant in a dark room. The articulation is smooth, and posing him is easy - and as always you can swap parts with other Glyos figures, if you want, but I wouldn't want to. 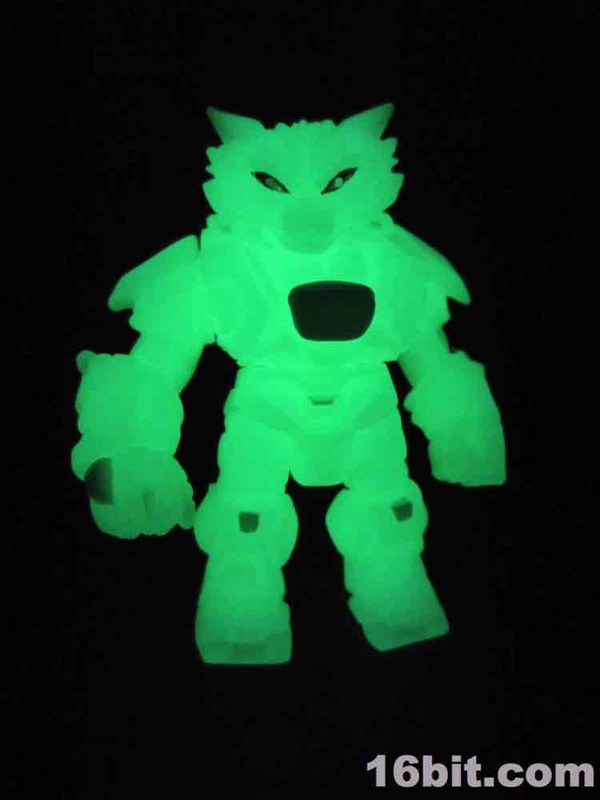 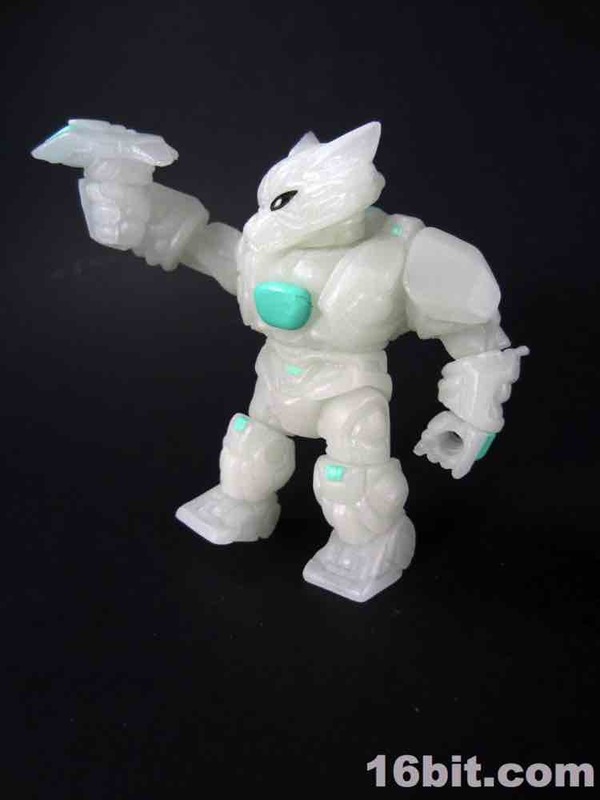 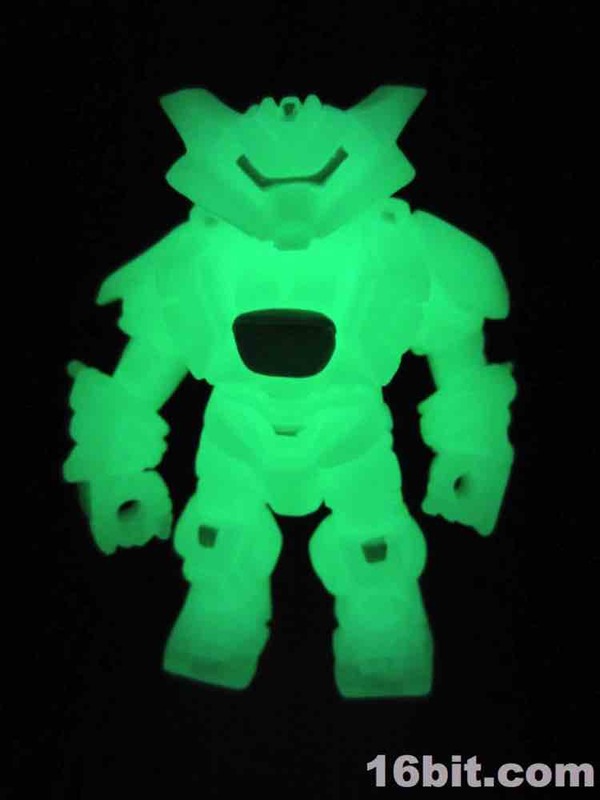 For the original asking price, this toy was spectacular - and the return of the glowing Armorvor has been teased a few times. 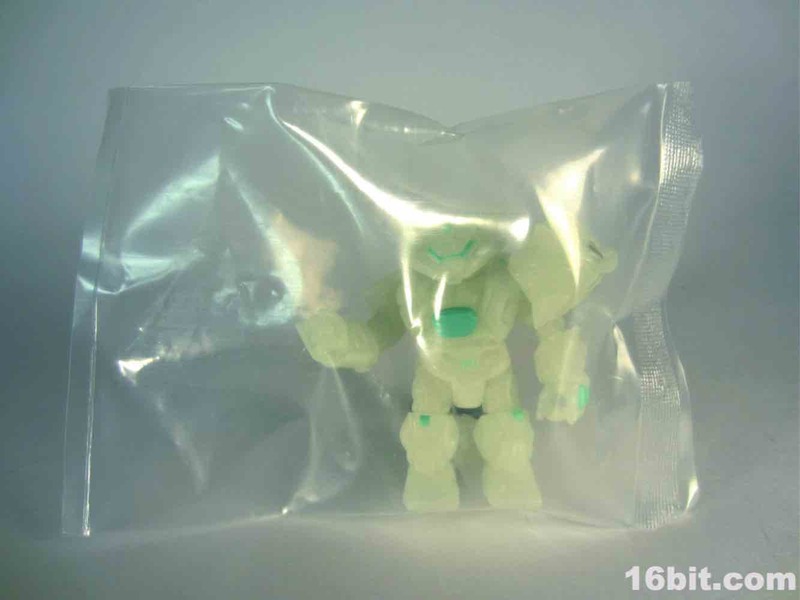 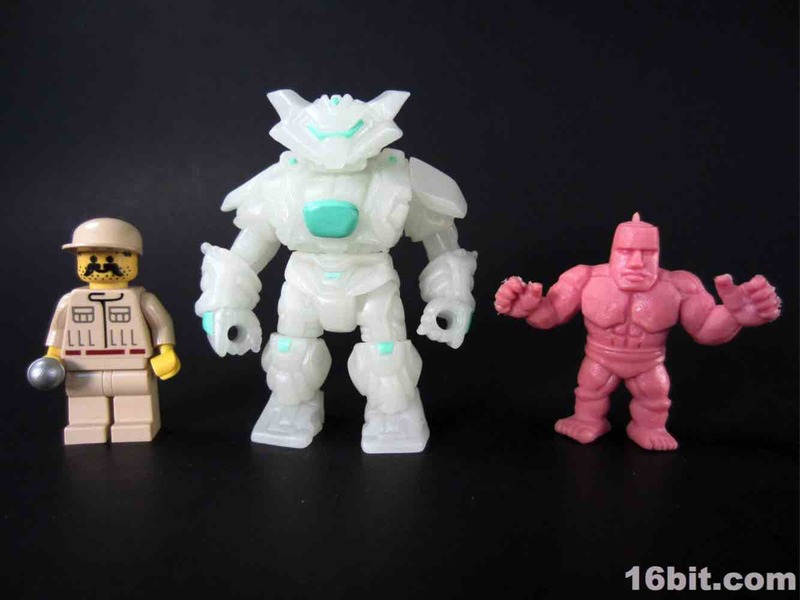 eBay sellers will charge you $20-$25 for one these days, and maybe it's worth it, but given how many Glyos figures are getting rereleased or upgraded it might be worth waiting for a new production run. 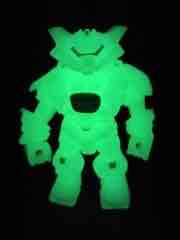 Still, if the price is right or you can make a good trade, this is a quality product - particularly if you love glowing toys.